Maryland, South and South Central Pennsylvania, Northern Virginia, and D.C.
BrightStar German Shepherd Rescue, Inc.
Good Shepherd Animal Sanctuary, Inc.
CSR specializes in the rescue, rehab and rehoming of shelter and stray German Shepherds. 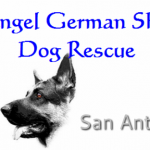 Arf's German Shepherd Rescue Inc.
German Shepherd Rescue of Las Vegas, Inc. Von Monte-Haus German Shepherd Rescue, Inc.
American German Shepherd Rescue Association, Inc.
Indiana German Shepherd & Siberian Husky Rescue Inc.
Tri State Shepherd Rescue Inc.
German Shepherd Rescue of North Texas, Inc.
4 Lucky Dogs Pet Rescue, Inc.
We are a 501(c)(3) non-profit shepherd rescue who always needs donations. Las Cruces, Dona Ana County but will consider out of state adoptions.